Garden Folly which has been refurbished and decorated in May 2018 is an immaculately presented "log cabin" bolt-hole for two, tucked away in a peaceful location close to Burnham Market's picturesque village green. This lovely hideaway has been refurbished by its new owners; comprising a light and airy living area with a wood-burning stove and well-equipped kitchen, together with a lovely high-ceilinged double bedroom with a contemporary en-suite bathroom. 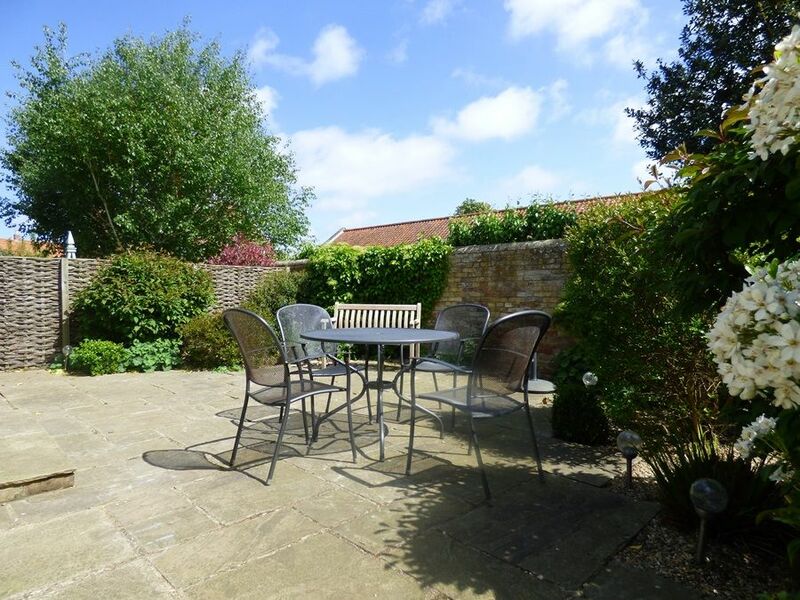 It has the advantage of an off-street parking space and a private courtyard garden which overlooks open countryside. This really is a little gem of a place to stay in a central village location, away from the hustle and bustle, and within only 10 minutes drive of the endless expanses of beach along the beautiful North Norfolk coast. 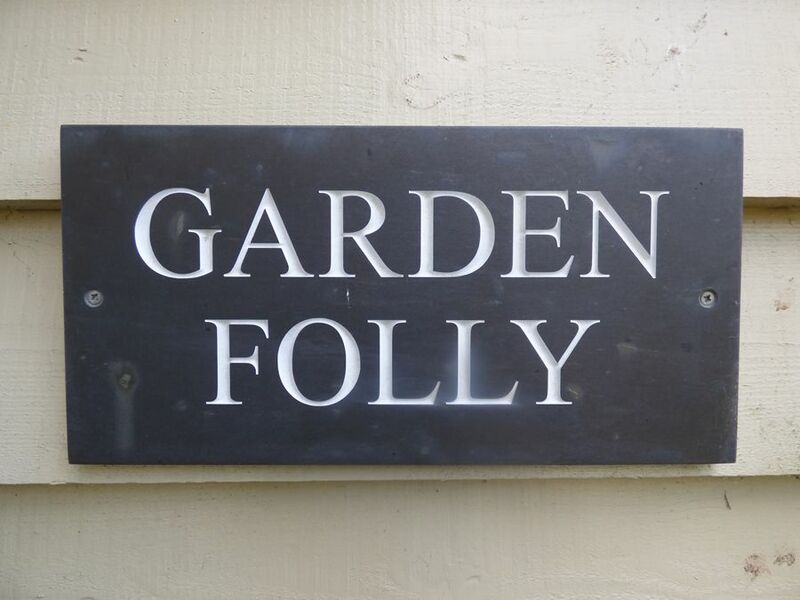 Garden Folly shares its driveway and parking area with the main house (Plumm's Yard) but is quite separate from the house with its own entrance and garden. Has high pitched ceilings with wooden flooring throughout and has a light and airy living room with a fully equipped kitchen/dining area and a separate double bedroom with en-suite bathroom. Kitchen area: a contemporary wooden fitted kitchen which is well-equipped with a double electric oven and hob, microwave, fridge with an ice-box, and ample crockery and kitchen equipment to cater for four people.There are lovely uninterrupted countryside views from the kitchen sink! Living area: a lovely light and airy space with a wood-burning stove with a good supply of wood available and electric radiator, making this a warm and comfortable place to stay throughout the year. There is a sofa and comfortable chair, flat screen TV with Blu-ray DVD player, selection of books and a dining table with four chairs . Bedroom: a lovely high-ceilinged room with a double bed, bedside tables and lamps and a built-in wardrobe with shelving and hanging space. There are double doors which open into the bathroom. Bathroom: a contemporary bathroom with a bath with an overhead shower, hand basin, heated towel rail and WC. There is a private courtyard garden enclosed by willow fencing, which has lovely views across the surrounding countryside. There is a garden table with four chairs (with seat cushions) and a parasol, together with a charcoal barbecue. 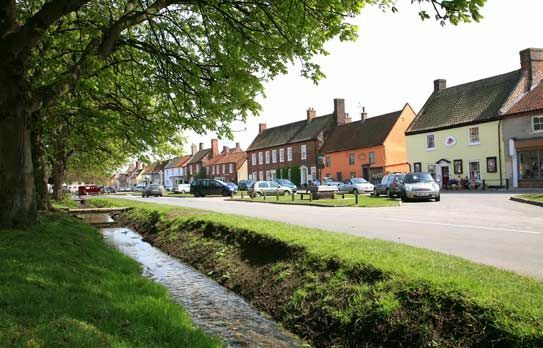 There is a village shop only a minute's walk away and it's only a short walk to Burnham Market's village green with its great selection of independent shops and the renowned Hoste Arms hotel.